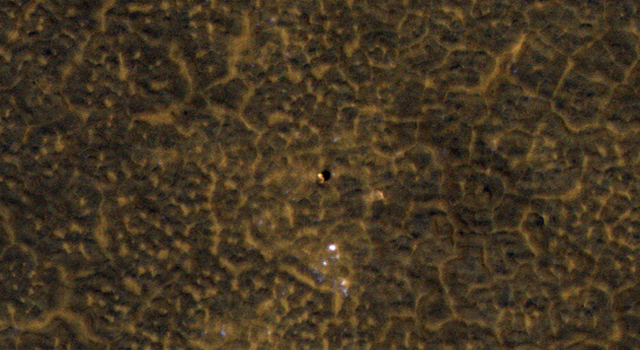 The High Resolution Imaging Science Experiment (HiRISE) camera on NASA's Mars Reconnaissance Orbiter recorded a scene on Jan. 29, 2012, that includes the first color image from orbit showing the three-petal lander of NASA's Mars Exploration Rover Spirit mission. Spirit drove off that lander platform in January 2004 and spent most of its six-year working life in a range of hills about two miles to the east. Another recent image from HiRISE, taken on Jan. 26, 2012, shows NASA's Phoenix Mars Lander and its surroundings on far-northern Mars after that spacecraft's second Martian arctic winter. Phoenix exceeded its planned mission life in 2008, ending its work as solar energy waned during approach of its first Mars winter. 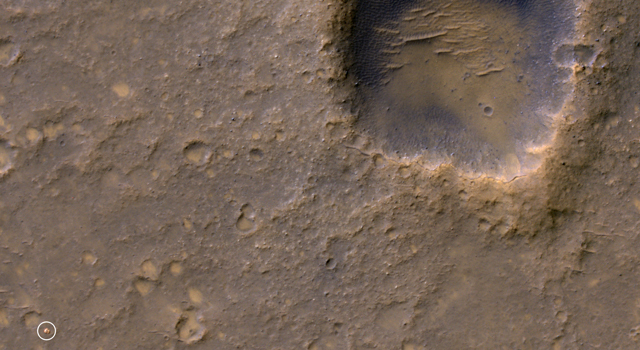 The image showing Spirit's lander platform as a small, bright feature southwest of Bonneville Crater is at http://www.jpl.nasa.gov/spaceimages/details.php?id=pia15038. The new image of Phoenix is at: http://www.jpl.nasa.gov/spaceimages/details.php?id=pia15110. The discarded back shell of the Phoenix mission's spacecraft is in an image at: http://www.jpl.nasa.gov/spaceimages/details.php?id=pia15039 . 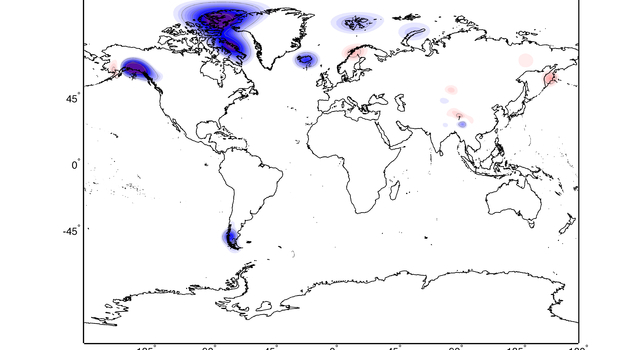 Although neither Phoenix nor Spirit still send data to Earth, scientific findings from both missions continue as researchers analyze the wealth of data from the two. A recent report based on inspection of Martian soil particles with microscopes on Phoenix concluded that the soil has experienced very little interaction with liquid water over the past 600 million years or more (see http://www3.imperial.ac.uk/newsandeventspggrp/imperialcollege/newssummary/news_3-2-2012-10-26-2 ). The Mars Reconnaissance Orbiter has been examining Mars with six science instruments since 2006. Now in an extended mission, the orbiter continues to provide insights into the planet's ancient environments and how processes such as wind, meteorite impacts and seasonal frosts are continuing to affect the Martian surface today. This mission has returned more data about Mars than all other orbital and surface missions combined. More than 21,000 images taken by HiRISE are available for viewing on the instrument team's website: http://hirise.lpl.arizona.edu . Each observation by this telescopic camera covers several square miles, or square kilometers, and can reveal features as small as a desk. HiRISE is operated by the University of Arizona, Tucson. The instrument was built by Ball Aerospace & Technologies Corp., Boulder, Colo. 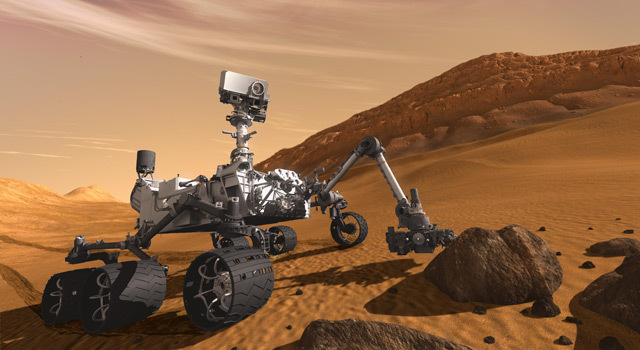 The Mars Reconnaissance Orbiter Project and the Mars Exploration Rover Project are managed by the Jet Propulsion Laboratory, Pasadena, Calif., for NASA's Science Mission Directorate, Washington. JPL is a division of the California Institute of Technology, also in Pasadena. Lockheed Martin Space Systems, Denver, built the orbiter. For more information about the Mars Reconnaissance Orbiter, see www.nasa.gov/mro .